Just got back to work from Discount Tire with my ridiculously expensive winter tires mounted (and summer tires bagged up in the back seat). Looks pretty normal you say? Where are the steelies you say? Enhance! I also ordered my WeatherTech floor liners on a Cyber “Monday” discount, which should arrive at some point soon. 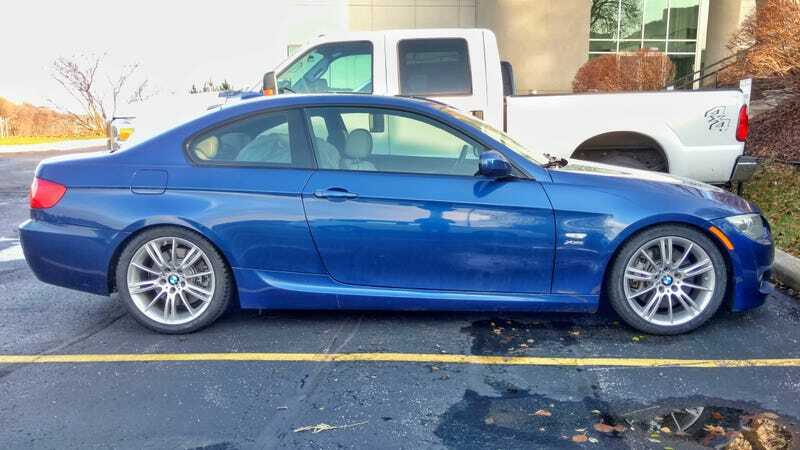 Now I’m looking forward to having far more winter performance than most people would expect from my silly bright blue lowered and otherwise hopped up turbo BMW coupe that happens to be awd. Too bad I’m back in my cubicle now.